Rising Star Becky Menday Talks To Urbansurfer! 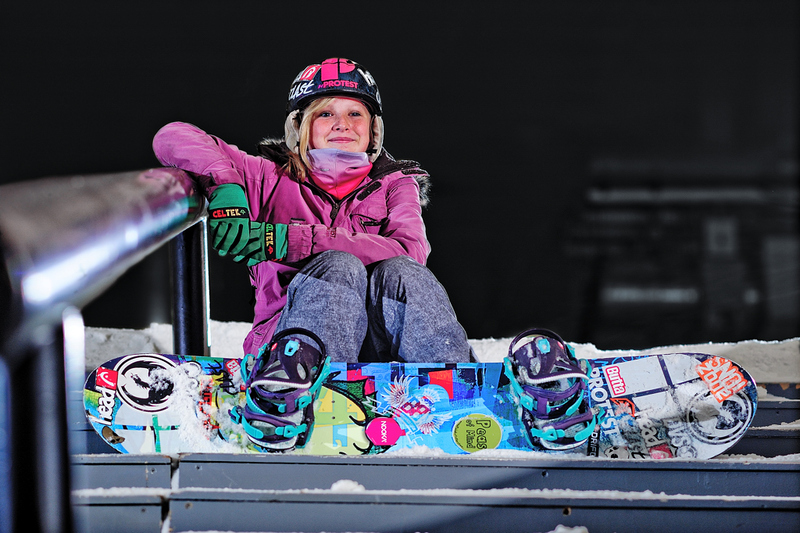 Today we have been talking to rising international Snowboarding star Becky Menday, sponsored by Dragon The 13 year old from Milton Keynes has trained with Team GB and competed overseas already at this early stage of her career. and this is all whilst she still does homework and goes to school! US: Hey Becky, it’s fab to get in touch with such a promising young snowboarder! How are you? BM: Thank you! I’m good! I’m very excited for the starting of the winter season again! US: So what was it that got you into Snowboarding? BM: My Dad started before me and I wanted to go along and join him as a hobby we could do together. US: Sweet! It must be pretty cool being so young and yet being a total ace! 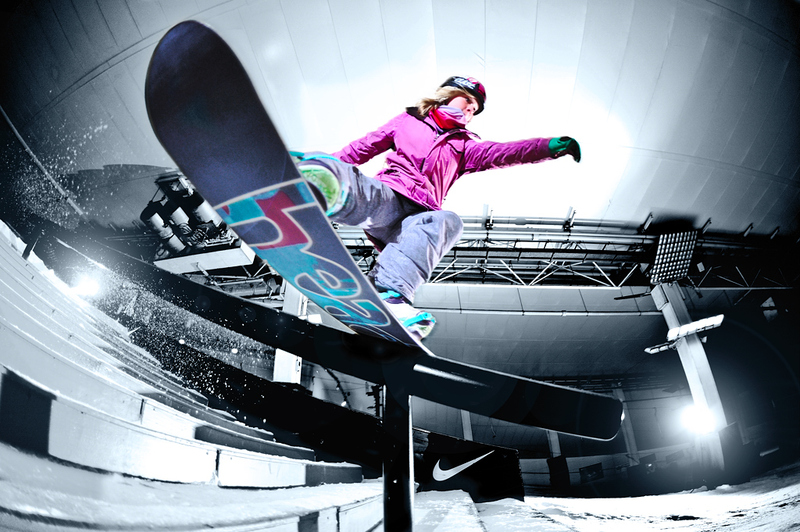 What advice would you give to aspiring young snowboarders? BM: My advice would be to always have fun and enjoy every experience you get! US: Thats what it’s all about! so what events/competitions have you been a part of recently? We see that you’ve fractured your arm recently! BM: My arm is back to full health and I have recently been competing in the BBQ, Beers and Big air competition at Rossendale dryslope and won the best snowboarder overall which was an amazing achievement! US: Wow, that’s brilliant! well done. What’s your first memory of snowboarding? BM: Ummm… that’s a hard one! Probably my first memory would be learning to snowboard and trying to use the poma for the first time but falling over, I tried to stand back up but I got wacked in the head by the next poma! US: Haha, sorry, but we did have a giggle at that, them pesky poma’s! Who inspires you? BM: Jenny Jones and Spencer O’Brien, recently being able to sit down and talk to Spencer O’Brien I would love to follow in her foot steps and become like her! US: We are sure you will! it must be a pretty exciting experience training with the GB team, just how good has that experience been and why? BM: It has been an amazing experience because I have been away without my parents which was quite daunting at first but something I had to do. I have become more confident on the mountain and got a lot more tricks in the bag! I can’t wait to go with them again next year I hope! US: Sounds amazing for a girl of only 13! What’s so great about snowboarding? BM: Everything!! ? Its such a great experience, you meet so many new people and learn so many life skills such as overcoming your fear! And most importantly its sooooo much fun!! BM: Is a crazy cat lady! 😉 I love cats!! US: The coolest crazy cat lady may i add! Where’s your favourite slope? BM: Well, indoors it has to be my local slope Snozone Milton Keynes! But my favourite mountain is Morzine! US: No place like home i suppose, not often you hear Milton Keynes as the answer for that question! You’ve had a long tiring day on the slope, your starving hungry and need a good bit of grub, what’s the meal of choice? BM: Subway!! I know it’s not healthy but it is so tasty!! US: Mmmm, Italian BMT all the way! It must be pretty surreal juggling your school life with being a top snowboarder, how do you deal with that? BM: I just take it as it comes! I always try my hardest at school and when I go away to compete I bring my work with me and do it while I’m out there! But it is hard! BM: It has to be a frontlip! US: Where’s your favourite holiday? BM: All my holidays are going away snowboarding but in the summer I love visiting my Nan in Cornwall and going to the beach! US: You can’t not love Cornwall… Who’s ripping it up on the girl scene right now? BM: Katie Omerod! She is a sick rider and is going to be big in the future! US: You heard it here first! Favourite song? US: Great choice! im sure that song is older than you? Ha! What do you like doing away from snowboarding? BM: I’ve recently got into wakeboarding! But I also go to the gym and go swimming. BM: I would love to be a pro! It is one of my dreams to become a pro! US: We knew you’d say that! Funniest thing you’ve seen on the slopes? BM: Someone fell over after hitting a kicker but before they could get up someone else hit the kicker and fell into them this happened over 3 times before they realised there was a bundle of people on the landing of the kicker! Thankfully no one was badly hurt! US: Haha, we’re creased! That sounds strangely fun, its been lovely speaking to you and we hope to hear from you again!